Wholesaling Real Estate 101 | What is Wholesaling Real Estate? If you’re getting started in real estate but have limited capital or credit, or simply want to explore a path that avoids, rehabbing or tenants and toilets, wholesaling properties is an excellent opportunity for you. Wholesaling real estate will require some ambition and a bit of specialized knowledge, but is one of the most tried and true methods for generating cash quickly. Learn more with this Wholesaling Real Estate 101 article. In the real estate market of 2015-2016, where demand from investors for good real estate deals continues to grow, effective wholesalers who can bring these deals to investors are in high demand and can make a lot of money in almost every market in the US. To put it simply, wholesaling real estate occurs when a property is available to be bought for less than it’s worth—often because it’s in bad condition or because the seller is motivated to drop their price. Your job is to get it under contract at that “wholesale” price. Then, you sell it “as-is” for a little bit more to a cash buyer, who makes a substantial profit when they resell it again someday, or by keeping it in their portfolio as a rental property. How do you make money? Simple…you make the difference between the contract price (between you and seller) and what your buyer agrees to pay for it. This usually means $3,000-$10,000 or more! As a wholesaler, you’re focused on finding two things – a good deal and an investor to buy it. Finding a great deal often means looking at distressed properties that require a significant investment to renovate or improve, and making offers to buy them, typically for around 70% of their future value, minus any repair costs. Watch this Max Offer tutorial video to learn more about calculating the cost of your real estate rehab projects. 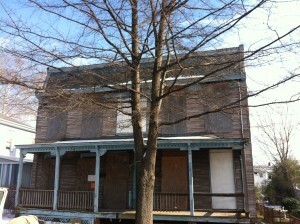 Think of all the boarded-up, junky houses you might have seen in your city or county while driving around. If the price is low enough that an investor feels he or she can make a healthy profit, the property’s condition becomes irrelevant. So, when an exceptional real estate deal becomes available, you’ll make an offer to the seller, get the property under contract to purchase, and sell your interest in the property to an investor who has the funds to buy it and the experience to renovate it. The idea with wholesaling is that you do NOT have to purchase the property yourself or come up with funds to close on the deal. Instead, you’re simply selling or “assigning” the contract to another buyer. There will be situations where you may want to or need to do a “double closing” but the idea is to avoid those situations. The objective is to flip the house as quickly as possible to a seasoned buyer who can pay in cash and close quickly without having to qualify for a loan. So how do you find investors with the funds to buy these homes? It’s not hard. In this market, there are many investors looking for great wholesale real estate deals. Building a network of investors is something that happens as you network locally, or by talking with those who respond to your For Sale ads. What happens if you can’t find a buyer? If you’re unable to sell the property prior to the expected closing date (usually 30 days or less), the contract is terminated, and you can simply walk away as long as you have included some kind of contingency in your agreement. (More in this in future articles in this series). What Are the Benefits of Wholesaling? A wholesaler does not need to invest any funds of their own into a property. You do not have to have good credit or be able to qualify for a loan. Low risks: Once the sale is complete, a wholesaler no longer has any legal responsibility to that property. This is much less stressful than being a landlord and worrying about repairs, lawsuits, and unclogging toilets! You can turn a fast profit within 30 days, unlike rental property, which takes longer to see a return on investment. Look at who else benefits…The seller is able to sell their problem property, which may or may not have sold otherwise. And, they did so without having to invest any cash and sweat equity of their own, doing repairs. Additionally, they get to sell the property quickly, without having it linger on the market for weeks or months! And, the investor/buyer you found is able to purchase an excellent investment property well below market value without needing to do any of the searching on his or her own. In lay terms, a wholesaler could be considered a middleman of sorts. A seller offers to sell a house, a wholesaler puts the house under contract, and a buyer purchases it (from the seller directly, usually). A house would have a fair market value of $150,000, but it needs an additional $25,000 in renovations or improvements first. The seller does not want to invest that $25,000 so they put it under contract to a wholesaler like yourself for $80,000. You email an investor, who looks at the house and is willing to purchase it with cash for $90,000 in its current condition, within 2 weeks’ time. 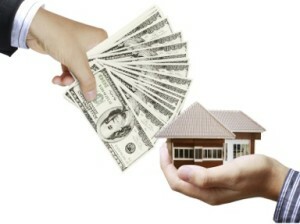 The seller sold his or her house without needing to invest any more money in it. You made a $10,000 profit in less than a month. The buyer, or investor, has the potential to make $30,000 in profit or more after the renovations are complete. *These numbers are just an example. Depending on your market, you may be able to find deeper discounts on properties or have your buyers accept smaller discounts in a higher-competition markets. So, if you have a keen eye for a great deal and the ability to network and negotiate deals, wholesaling could be a very profitable opportunity for you—even if you’re brand new and just getting started in real estate. The learning curve is low, and both sellers and investors will love you. All you need to succeed in this business is the ability and willingness to learn and hustle. ***CLICK “LIKE” ABOVE IF YOU ENJOYED THIS ARTICLE, LEAVE A COMMENT AT THE BOTTOM AND GO TO THE NEXT ONE! Thank you, somebody finaly got it. This is the best example demonstration. I have seen since I have been. You made it so simple. Continue on. Yes Daniel please continue to write these articles they are very helpful and informative. Sounds good, Alicia! Thanks for your feedback! main work has been with lease options, but looking to expand, so…..YES, continue. one time Richmond nurse, MCV for both the undergrad work and my masters ! Mike- awesome! I live 3 minutes from MCV. All of my development is within walking/biking distance to MCV right now. Danill Thank you for taking the time to instruct us how wholesaling should be done the correct way I really appreciate your wisdom. You’re welcome, Jesse! More good content on the way – going to go deeper! Yes Daniil, Please keep writing the series. I love watching your videos because they are very informative… With all of the Knowledge you know about Real Estate Investing, You can Teach your own class for 18 months and just give us a Certificate when we complete your course. Lol. I’m just saying.. (( Daniil Kleyman’s School for Real Estate Investing )). Hey, Daniil… You’re in GRAVE DANGER of being ejected from the R-E Gurus’ Club for your basic course -starting- on step 1, and step 2, and step 3, etc. More often than not, your counterparts begin their basic trainings with step #97, then jump to step #163, then #244, and #389 before asking “Now, wasn’t that easy?” [offering noplace for responses, of course]. Anyway, lotsa kudos from your many ardent fans [and delighted ‘RehabValuator Premium’ owners]…. including me. Hey Kahl. Good to hear from you! I definitely like to break things down step by step. Much easier to actually learn that way! Hope you’re doing well! Thanks so much for taking your time to do this series. It is like a refresher course on something I have done and made good money. Keep the info coming. Thank You Daniil, The way you explained everything, my kids could understand wholesaling. I have looked at both videos and read the excellent examples. Look forward to receive any other knowledge you wish to share with me about this business. please continue to write on the subject of wholesaling! Daniil your teaching materials are premium in every sense of the word. I get so fed up with all the supposed experts and “gurus” who constantly “bait and switch” and would have you believe they are the next best thing to “sliced bread”…in reality 99% of their so-called training is the same old tired and worn out crap. It’s Carlton Sheets on “meth”…but in the end pure crap. Worthless and of no value period. Continue with the excellence you exhibit currently and your legacy in the REI industry will be as staunch and reputable as “Lady Liberty” herself. Well done! Thanks, Alan. That really means a lot! I appreciate the explanation and I have great interest in wholesaling. I have been receiving all of your emails and I thank you so much for all of the training you provide to us for free. I have paid 100s of dollars to other clubs and so call gurus and still come away not knowing any more than when I came…. but you have made it all so simple and I can’t wait to purchase the Premium package and get started wholesaling. This is exactly our goal Stacy! We look forward to hearing of your many successes. SPOT ON!!!! I’ve read about 10 articles on wholesaling this week and this one makes the most sense. I definitely understand the process through your teachings. Now I’m confident enough to get going consistently. I Truly appreciate your help! We’re happy to help. If you ever have any questions please let us know. Great! Please reach out if you ever need anything.